1) Win the war for good talent. Last month, Staffing Industry Analyst (SIA) put on a webinar that covered some interesting statics pulled from the US Bureau of Labor Statistics and SIA. 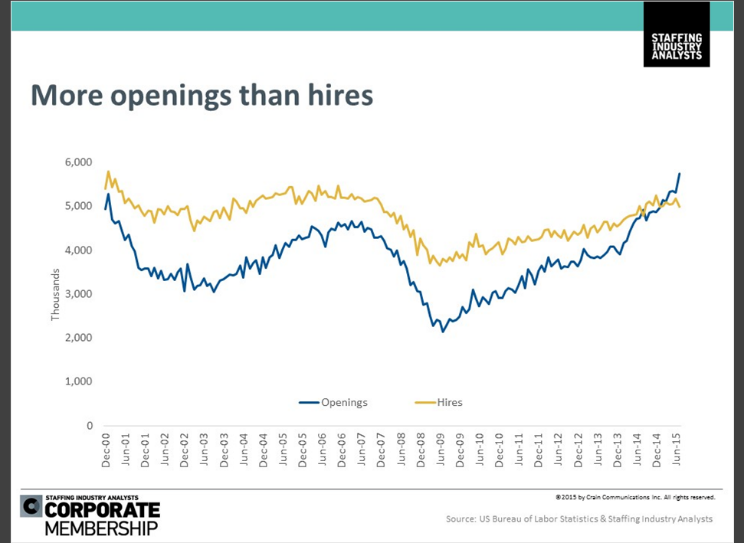 One point they covered in the webinar was that for the first time since 2000, the number of job openings supersedes the number of hires. This means that the demand for good talent to fill these open positions is more critical than ever before! What does this mean for your staffing agency? Speed and agility. In order to succeed in the market as a staffing agency right now, you need to be speedy to find the best candidate for an open position and then give your team the tools they need to be agile enough to get that candidate to work faster. Give your team the speed and agility they need. 1Staff – 1 step ahead of the competition. Getting your team the tools they need to be speedy and agile is important, but having one solution that does it all can streamline your processes like never before. 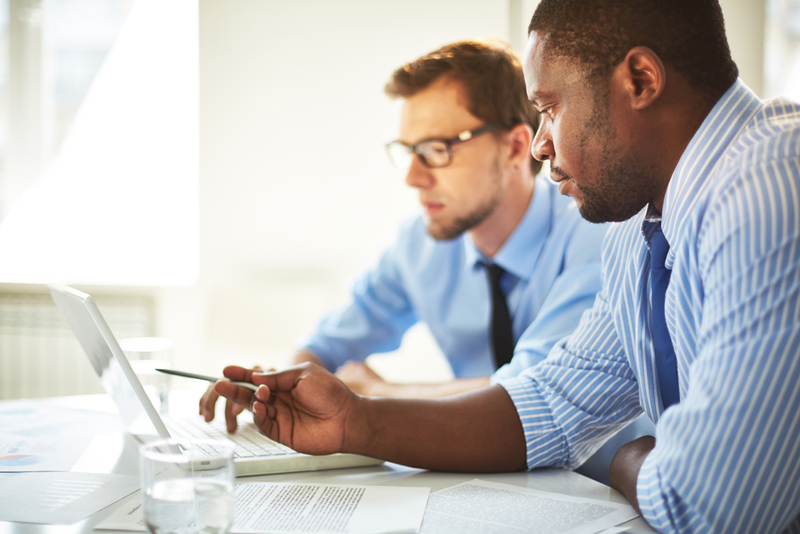 Ask yourself: What does your staffing process look like from start to finish? If you are on more than 3 platforms? If so, it may be time to consider a better solution for your team. Get your team on the same page. 1Staff – 1 solution for your entire team.